Every week players 12 years and older are enjoying paintball at Delta Force Muchea and Bonneys centres, having the time of their lives. Why can’t teenagers all around Australia experience the same fun and excitement as teenagers in Western Australia? In an attempt to achieve a standard minimum age across all states and territories, the Australian Paintball Association (AUPBA) met with the Honourable Michael Daley (NSW Minister for Police) and the Honourable Jodie McKay (Minister for the Hunter) at Parliament House to discuss reducing the minimum paintballing age. If this initiative is successful, players 12 years and older in NSW and Victoria would have an additional activity to get them outside and enjoying an active and healthy lifestyle. As proven through our fields in WA, paintball is a great place for teenagers to learn about leadership, teamwork and strategy. Parents have raved about their children’s birthday parties at Delta Force and the safety equipment that every player receives. 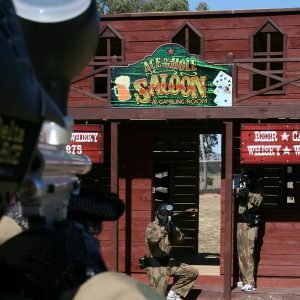 Sign up to the AUPBA’s petition to help reduce the minimum paintballing age from 16 years in NSW and 18 years in Victoria to a standardised 12 years of age. The AUPBA was established to help protect and promote the sport of paintball. By reducing the minimum age we are opening the sport to a wider market where people can have a fun day out with their family and friends in a safe and controlled environment. 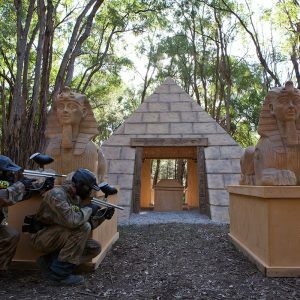 Please spread the word about this petition as we move one step closer to standardising the legal paintballing age across Australia.